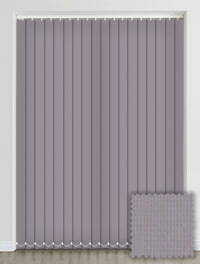 Few colours match the luxury connotations that purple tones can bring to a home’s décor. 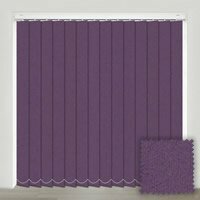 Introduce a touch of sophistication to your interior design with our stylish range of made to measure purple vertical blinds. They are a fabulous way to bring warmth and rich colouring to the windows. Each blind is handmade here in the UK from only the finest materials and components. Quick efficient and professional service, couldn't fault it. Excellent all round service and I will certainly recommend you. I really wanted the two blinds I had ordered to arrive quickly, so I followed up my online order with a request via email that they be produced and dispatched as soon as was possible! I received a prompt response saying that they would do their best, and the blinds arrived at my home in 3 working days which was great. Brilliant exactly what we wanted. Top quality would definitely recommend them.